Bonsai Focus INDEX - edition 2015. The Index of the Bonsai Focus Magazine is developed as a research and support resource for all Bonsai enthusiasts whether beginners, advanced or masters involved in the art of Bonsai. 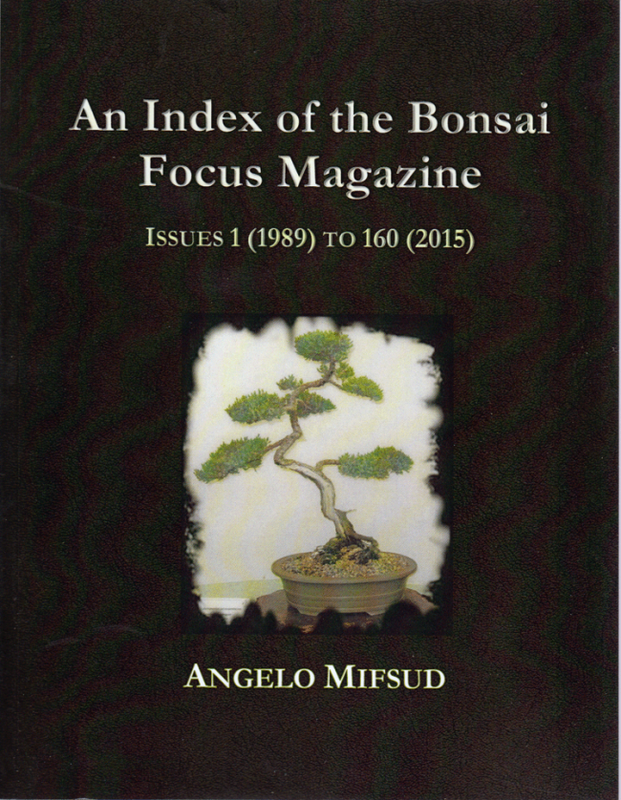 This edition contains an index of Keywords for the Bonsai Focus Magazine; incorporating Bonsai Today and Bonsai Europe. It brings together a useful research tool for the bonsai beginner and experienced alike. 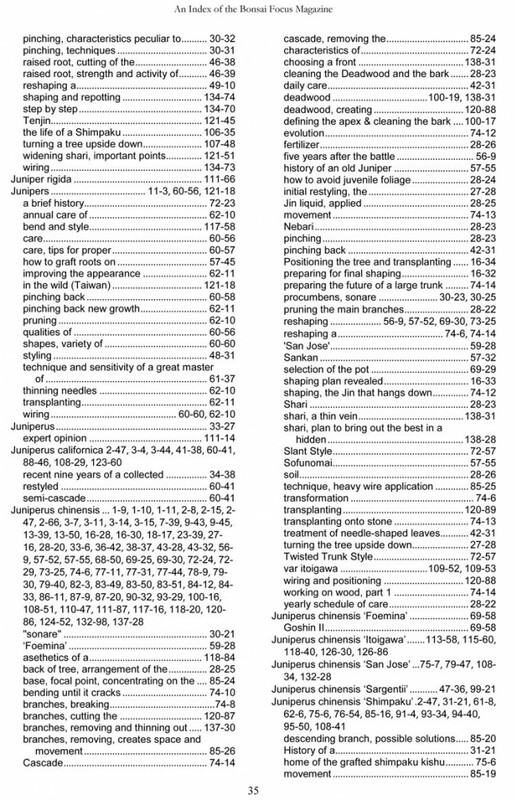 The index is displayed by a separate section for each individual magazine, bearing in mind that the Magazines Bonsai Today (issue 109) and Bonsai Europe (issue 86) merged with Bonsai Focus magazine came into being in May/June issue in 2007. Although Bonsai Focus continues the issue numbers for both Bonsai Today and Bonsai Europe, the Bonsai Focus issue series begin with next issue number for those individual magazines. There are other language versions of Bonsai Focus (e.g. German, French, Dutch and Italian), which are not Indexed at this time.